Yesterday we were able to pick up the adorable AFO’s. 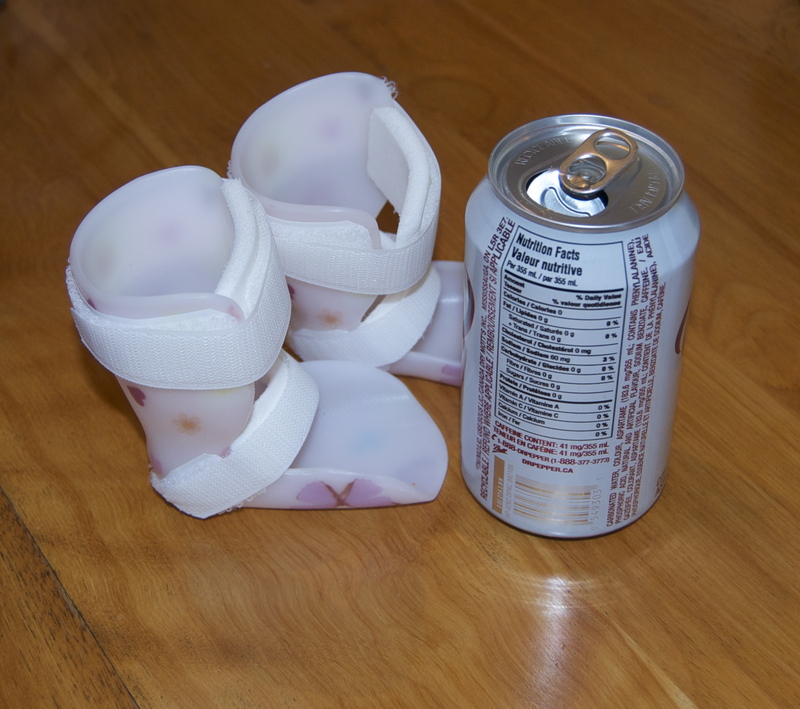 (Ankle Foot Orthotic) They were by far the tiniest that many had ever seen made at the site. 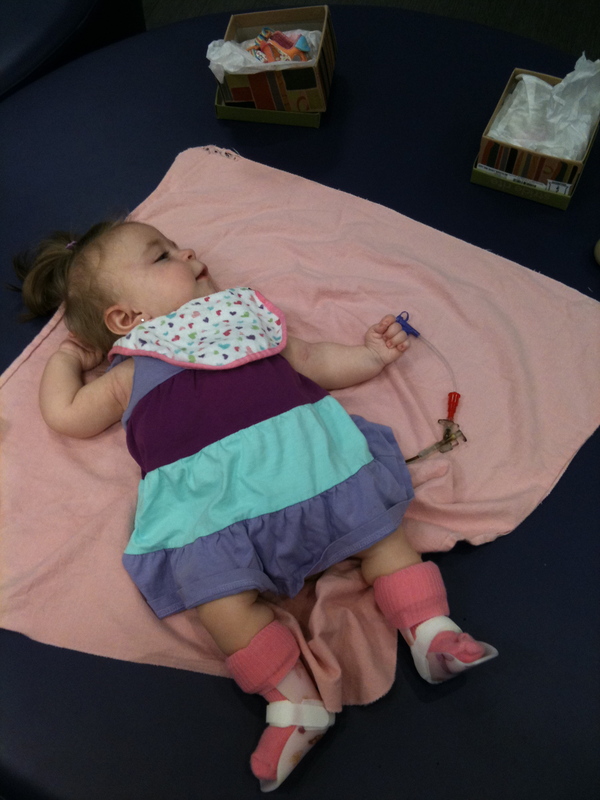 We decided on a butterfly pattern with a variety of different colours which enabled easy coordination to her wardrobe. 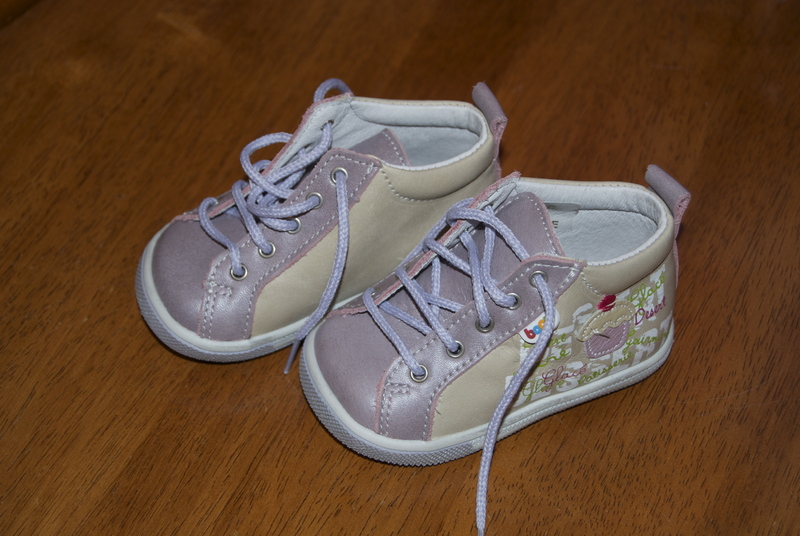 With ladybugs new AFO’s we had to get new shoes. Like many women I’ve always had a love affair with shoes. Since having ladybug my focus has transitioned from mary-janes and heels to medicine and doctors. It was quite obvious that my little princess had the same love for shoe shopping as I once had. She was able to sprawl out on a large circular bench and be given copious amounts of attention. At this point her feet alone are far too tiny to fit shoes larger than size 0/NB. With the AFO’s I knew that would not be the case. 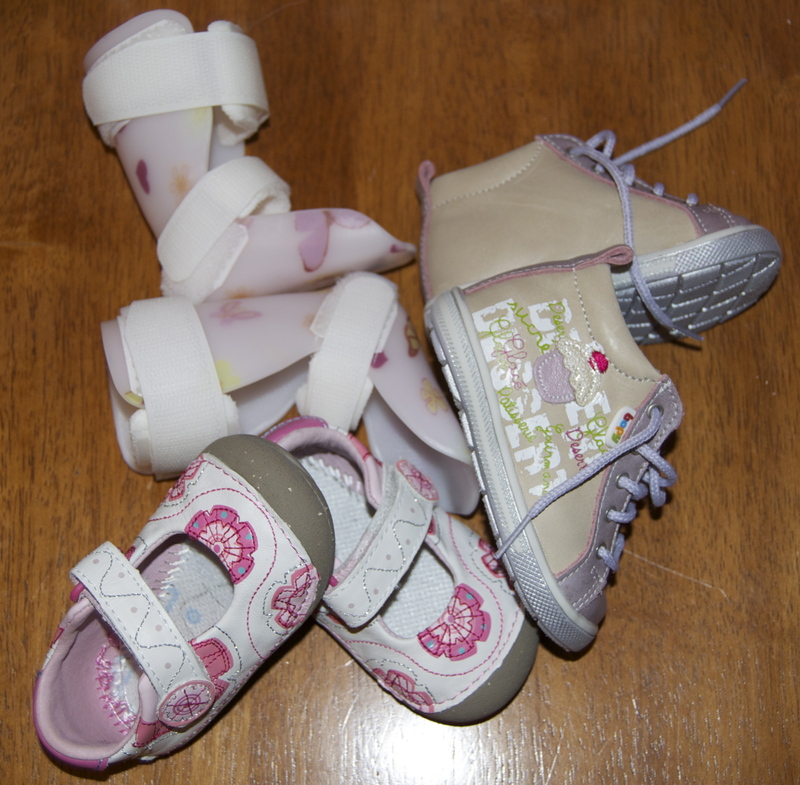 Yesterday, I spent my birthday picking up the AFO’s, and then bringing ladybug shoe shopping for the first time. *Tear* The moment I walked into Kiddie Kobbler I swear I heard angelic voices singing and had seen beams of golden light shining down on the store. Not only that – the sales girl had plenty of experience fitting shoes for children with AFO’s and knew exactly what would and wouldn’t work. It was probably a good thing that her feet even with the AFO’s were still quite small and the shoe selection was limited, otherwise I would have spent an even bigger small fortune. None of that mattered though, these AFO’s coupled with physio and hope were going to enable my daughter to view the world differently. She would be able to build muscle strength, stand, jump, and I truly feel in my heart that she will one day be able to walk. Unlike most children ladybugs growth rate is very slow. 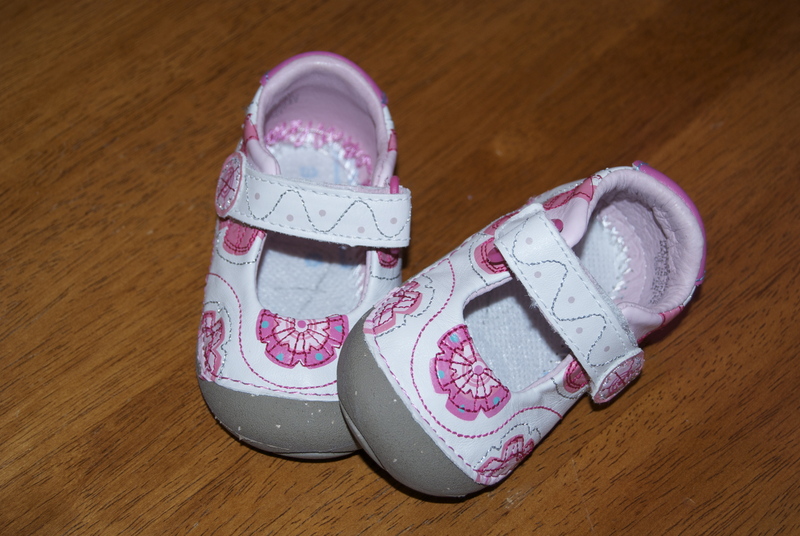 Her itty bitty feet have slowly but surely grown very little in her 1 1/2 years, so in one respect I am quite lucky that she will be able to get a lot of use out of her new shoes. Between that and wanting to do what ever I can to help her reach these goals, I didn’t mind splurging on 2 pairs while singing “New Shoes” by Paolo Nutini. It is very exciting! She is actually bearing weight on her legs now – only for a few seconds at a time but it’s a lot more than she was able to do before.